In the world's oceans, there are several large oxygen-depleted areas that scientists refer to as oxygen minimum zones (OMZs). These oceanic regions can encompass millions of square kilometres, and particularly occur where an intense ocean current and prevailing wind direction meet a broad coastline perpendicularly. Among other things, these flow conditions cause coastal upwelling, i.e. the upward movement of nutrient-rich deeper water. This in turn promotes the mass occurrence of oxygen-consuming microorganisms in the layers of water below the surface, which reduces the level of oxygen in the ocean. Such conditions occur, for example, in the Pacific Ocean off the west coast of South America, in line with Peru. A particularly extensive OMZ has formed here. A research team from the Collaborative Research Center 754 (SFB 754) "Climate-Biogeochemistry Interactions in the Tropical Ocean", a cooperation between Kiel University (CAU) and the GEOMAR Helmholtz Centre for Ocean Research Kiel, investigated the foraminifera, which are unicellular shell-forming microorganisms occurring throughout the ocean, in a new physiological study. Some species of foraminifera are adapted to oxygen-depleted environments as in the Peruvian OMZ. In this way, the scientists could improve our understanding of their metabolic processes, and thus extend the basis for quantifying the nitrogen cycle in the low-oxygen ocean. The researchers published their results in the journal Proceedings of the National Academy of Sciences (PNAS) yesterday. 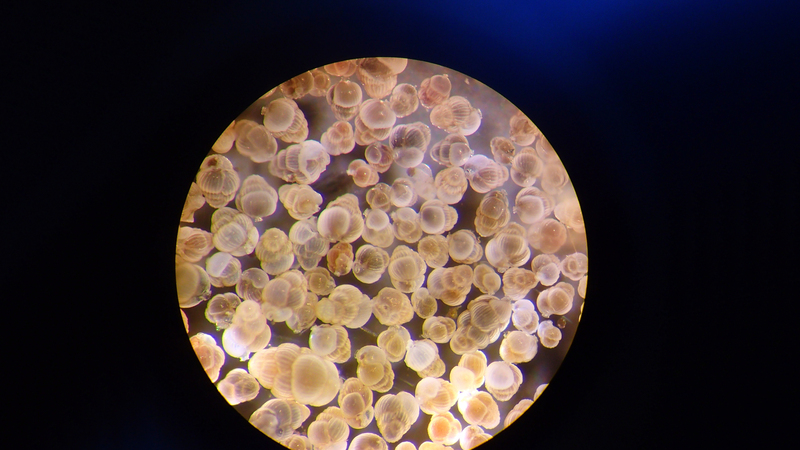 Caption: One of the organisms involved in the metabolic processes of the nitrogen cycle present in the oxygen minimum zone off Peru is the foraminifera species Uvigerina peregrina. 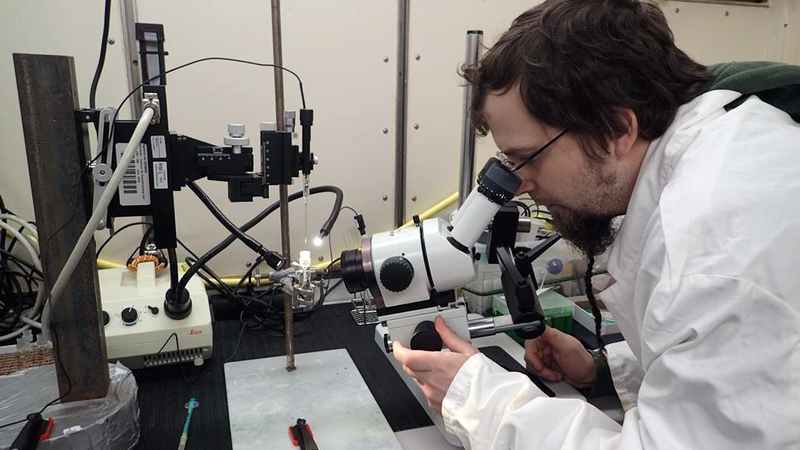 Caption: Lead author Dr Nicolaas Glock from the SFB 754 conducting measurements in the laboratory of the research vessel Meteor in the South American research area. 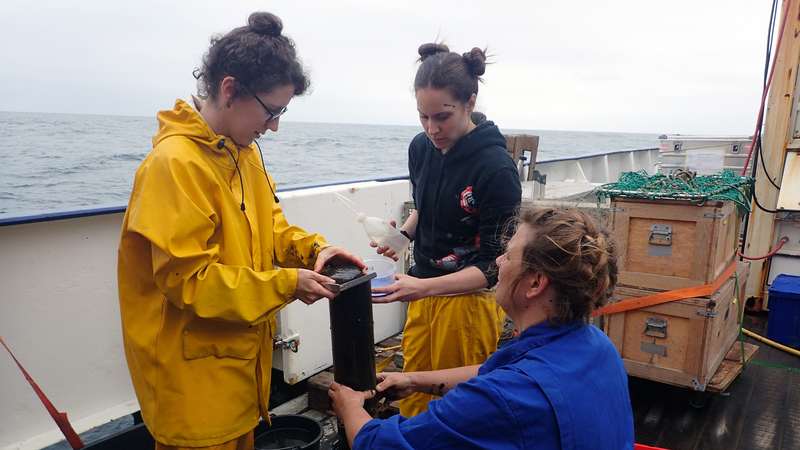 Caption: The scientists involved in the publication, Tanita Wein, Dr Alexandra-Sophie Roy and Dr Julia Weißenbach (from left to right) sample sediment obtained from the ocean floor off the Peruvian coast. Caption: The researchers obtained the foraminifera investigated from such polycarbonate core tubes taken from the Pacific seabed at a depth of approximately 500 meters. 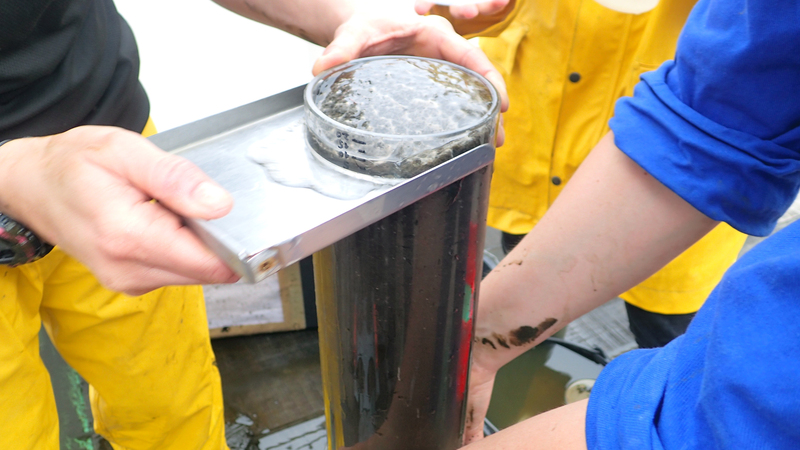 Caption: Some specimens of the studied species Uvigerina striata sieved out of the sediment using sieves of various sizes. Caption: The researchers studied the physiology of the foraminifera in cuvettes, in which a tiny sensor measures the oxygen concentration of the water inside, among other factors. 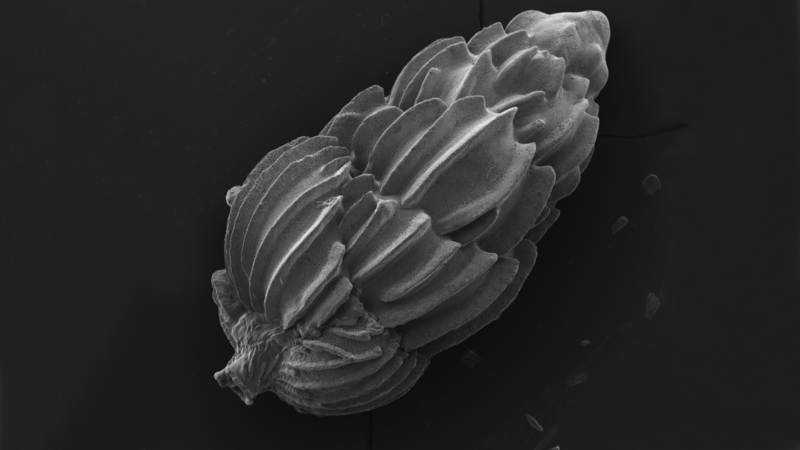 One of the organisms involved in the metabolic processes of the nitrogen cycle present in the oxygen minimum zone off Peru is the foraminifera species Uvigerina peregrina. Some of the scientists involved, Tanita Wein, Dr Alexandra-Sophie Roy and Dr Julia Weißenbach (from left to right) sample sediment obtained from the ocean floor off the Peruvian coast.